Another new fantastic listing by CHEVAUX GROUP can be found at 3523 Marywood Drive, Spring, TX 77388! Situated on a lovely corner lot, this two story home offers four bedrooms, 2.5 baths, gleaming wood floors, a huge backyard deck and more! Located in Spring, Texas in the Cypresswood subdivision, this home is located for quick access anywhere you need to be in the north Houston area. An unbelievable 2,576 square feet all for only $161,000! 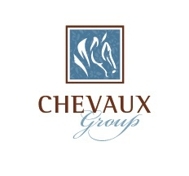 Call Paula at CHEVAUX GROUP today to schedule your private showing!